This person-centred narrative sets out how good, coordinated – or integrated – care looks to people near the end of life and is written from their point of view. 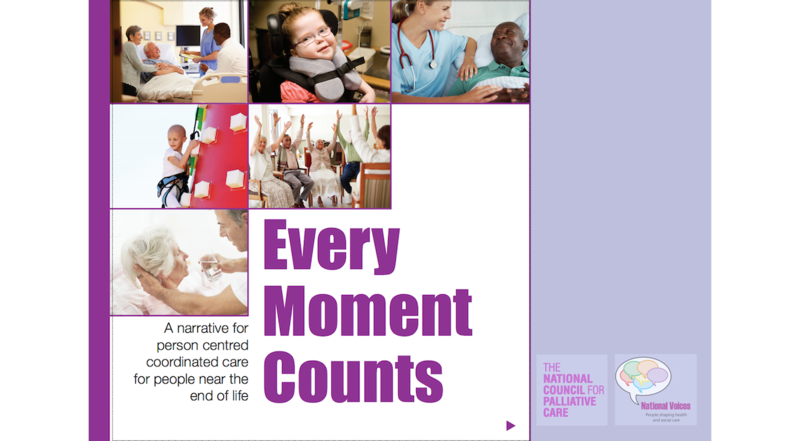 It draws on surveys, the testimonies of bereaved carers, the experience of end of life care charities and the reflections of professionals that highlighted failures in coordinating and personalising the different elements of end of life care. I am confident that the people who are important to me will have the opportunity to get support with bereavement before and after my death. Taken together, the information, care and support I receive helps me feel ‘at peace’ about what will happen in the future. This may include, for example: how the people who are important to me will cope after I die, and be supported to do so.